"Although David Tennant has returned to his role of the Tenth Doctor, the other old Doctors will not be taking part." What do you think? Is this good enough, or should we see the other Doctors back too? So, let me see if I've got this...it's the 50th Anniversary special, meant to celebrate half a century of the Doctor, and we're only getting two of them, who just happen to be the most recent ones? Did they even try to get Tom Baker, Colin Baker, Peter Davison, or Paul McGann? I think I heard that they talked to Sylvester McCoy and Christopher Eccleston, and both of them declined, but I thought Tom, Peter and Paul were at least interested. This is a sad, sad shame. McGann. He's the only one (other than Ecclestone) that I care about returning. Get McGann, or I quit. And thus any hope i had for this 50th anniversary go down the drain. If we don't see Susan, then the show is a 50th anniversary failure. this is a MAJOR pile of BULL!!!!! SCREW the 50th now!!!!!!! Sylvester was one of the people who were the most vocal about returning actually. Sylvester really wanted to return, but wasn't asked. acknowledge the other doctors. We shall see. I am clearly the contrarian here. I would have been utterly overjoyed if NO previous Doctors, including David Tennant, appeared in this special. In fact, as much as I think David Tennant is awesome -- not just an excellent Doctor but an excellent actor -- I am IRRITATED that he's part of the anniversary, because it means that, once again, the anniversary is more about stunt-casting than storytelling. Why do I feel this way? Simple. "The Three Doctors"...was rubbish. "The Five Doctors"...was rubbish. "The Two Doctors"...was rubbish. They're fun on the surface but they fall apart if you blow on them hard. So, having even one additional Doctor in the story really leaves me with greatly LOWERED expectations for the anniversary being anything other than rubbish. More Doctors wouldn't help. Shh, don't say that TOO loudly, certain superfans at certain Doctor Who fan sites I won't name don't want a dissenting opinion like yours. As you said, this is the Golden Anniversary and yet some people think we shouldn't be looking back and celebrating. It's the 50th anniversary, it won't just be watched by kids who haven't seen anything beyond David Tennant...lots of "old farts" will be watching wondering why their Doctors aren't a part. You won't see susan, but you'll get to see Rose bloody Tyler again. Isn't that nice? Maybe we'll get brooding Ten getting mopey over Rose, too. I'm pretty upset they didn't give Paul McGann a role, he deserved it. I would'nt be suprised if we have a sort of 'love triangle thing develop between 11, 10 and rose... or have River song come along and provide an awkward romance moment with the 11th doctor in front of Rose. Doubt it... except maybe the rumor we heard about John Hurt being revealed as 'The Doctor who never was' or something similar... a Doctor that occurred during the time war but was erased from time and memory. That was obvious when they cast John Hurt. 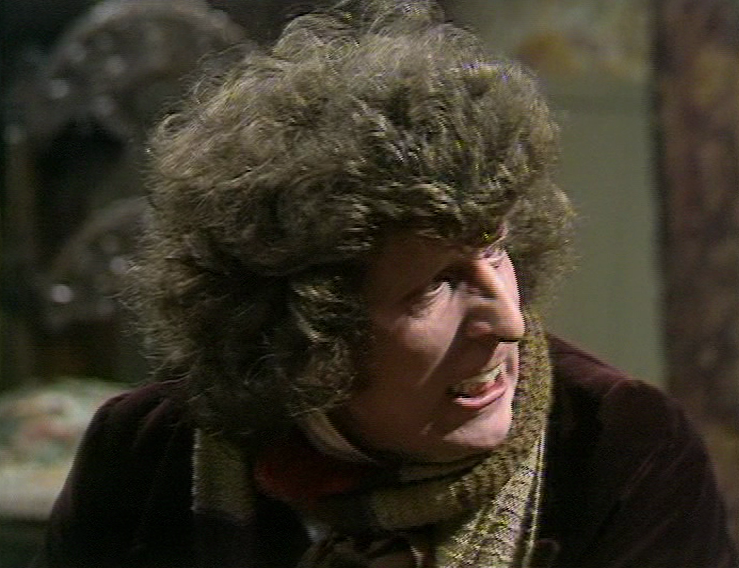 Tom Baker's expression in the attached image is all that's needed. Some fans believe seeing older, lumpier actors would tarnish the reputation of classic Doctors...which would have been a good argument, if Moffat hadn't brought back Tennant, or was just ignoring to do the multi-Doctor thing altogether. Now Moffat just looks like a world-class doofus. I think I'm going to do something radical and wait until I actually see the episode to make up my mind whether I like it or not. Hartnell, Troughton and Pertwee are gone, T. Baker is 80 years old, and time has marched on for the rest, except perhaps McGann. Moffat honored them in the Eleventh Hour with that lovely montage at the end, so I'd be astonished if they were not honored in the 50th anniversary in some way. The only thing that would really get up my nose would be more ruddy cow eyes from Rose mooning over Ten. I agree. Remember Dimensions in Time? They threw everyone they could get in this sketch at it was awful. Hartnell, Troughton and Pertwee are dead, the Bakers look very different today and even Davison looks substantially older (Timecrash? ), I don't know how McCoy looks outside his Radagast-Makeup :-). Eccleston said No. I admit a Cameo of McGann would be a nice touch, but an 11-Doctor-Special would be a nightmare. I remember paintings are mentioned to play a role in the special, so maybe we get all the doctors in that capacity. do NOT like! What's the point? Stuck with 10 and the boomerang blonde instead of the rest of our old friends. Shame on you, Moffat. 3/ or, Its the biggest secret the BBC has ever kept and lots of people are returning - they have just fibbed about it?